Our research focuses on the cognitive control processes that are necessary when automatic behaviors are not sufficient to accomplish goals. Humans have the ability to adapt to novel situations and will change from automatic to controlled behaviors in response to new stimuli. This kind of flexible behavior is critical and necessary to function effectively in our everyday lives. Understanding how we adapt, and the underlying neural mechanisms which allow us to do so, is the focus of our work. Our findings will lead to better theories of how humans perform controlled process such as task switching and working memory and, ultimately, to implement better planning and training practices. We combine sophisticated methodologies such as fMRI, neuropsychological, and behavioral techniques in order to investigate these abilities in novel ways. Essentially, we emphasize both words in the term "cognitive neuroscience"; that is we attempt to generate and refine theories of cognitive control by understanding how the brain undertakes these functions. In the same way, we test predictions about the functions of neural regions based on theories provided by cognitive psychology. 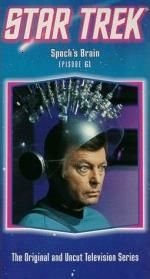 The combination of brain and behavioral data allows us to generate more comprehensive models of cognitive control. Task switching is used as a marker of cognitive control, but much debate exists about the mechanisms involved in task switching and its neural instantiation. We have examined two kinds of task switching paradigms: switches between sets of rules (rule switch) and sets of visual features (perceptual switch). Regions engaged in rule switching were dissociable from those involved in perceptual switching in our fMRI studies (Ravizza and Carter, 2008) (Hakun & Ravizza, 2012). Rule-shifting engaged the dorsolateral prefrontal cortex and anterior cingulate when preparing and implementing a shift. Moreover, patients with schizophrenia, a disorder associated with abnormal functioning in the prefrontal cortex, were impaired at rule shifting but showed preserved perceptual switching abilities (Ravizza, Moua, Long, & Carter, 2010). In contrast, parietal cortex rather than prefrontal cortex was active during the implementation of a perceptual shift, but was not active during preparation. Another line of research in my lab is aimed at providing support for a novel idea about the role of the left temporal/parietal junction in working memory performance. 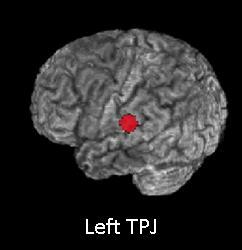 The left temporal/parietal junction (TPJ) is damaged in patients with verbal working memory impairments. 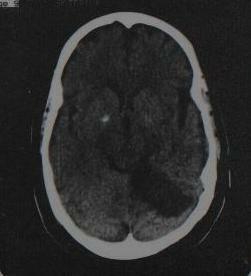 In fMRI studies, this region is not active when people must remember the information over a delay. We posit that the left TPJ region is important for the attentional capture of speech rather than maintaining items in working memory. We have now tested this idea with fMRI (Ravizza, Hazeltine, Ruiz, & Zhu, 2011). Our results show that the left TPJ is active during the encoding and retrieval of items in working memory, but is not sustained during maintenance. This pattern of activation fits more with the idea that this region is important for drawing attention to externally-presented stimuli rather than storing that information over a delay. This work is unique in that it emphasizes a strong contribution of bottom-up attention to working memory performance. Cognitive control is influenced by input from subcortical regions typically associated with motor functioning (i.e., basal ganglia and cerebellum). My previous work (Ravizza & Ivry, 2001; Ravizza & Ciranni, 2002) with patients with motor disorders (e.g., cerebellar stroke patients and Parkinson's patients) suggests that impairments of the action system affect cognitive control. . Currently, we are focusing on how the basal ganglia contributes to cognitive control using Parkinson’s disease (PD) as a model. We are currently investigating whether problems cognitive control are due to high action selection demands or due to a core problem with processing feedback. Feedback-based learning has been shown to rely on the basal ganglia and this region tracks outcomes such as rewards and punishments. This goal of this research is to assess whether those with PD have a core problem with learning from feedback or whether patients are impaired in feedback-based learning places because it places high demands on action selection.